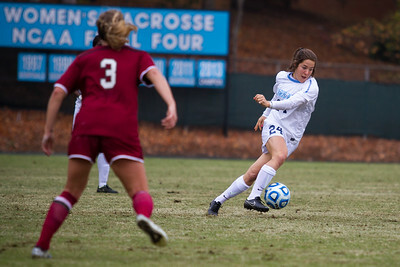 An injury has limited freshman midfielder Jessie Scarpa's time on the field, but she has been an active member of the team. "I kind of forgot what soccer was like for a bit, but I don't feel like I've missed a beat," she said. 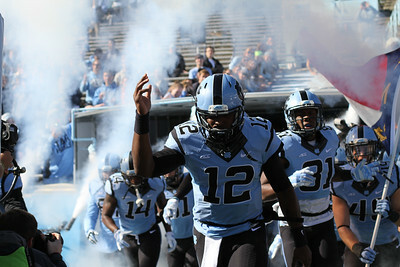 UNC defeated NC State 27-19 at Carter-Finley Stadium in Raleigh, N.C. on Nov. 2. Senior libero Ece Taner practices in between matches. 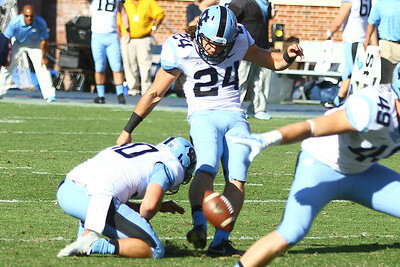 The Tar Heels went on to win against NC State and extend their winning streak to 12 games. 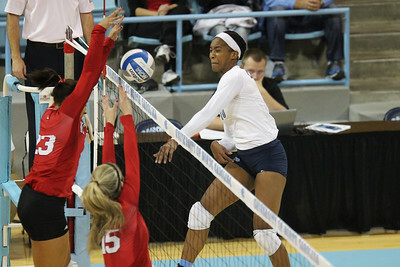 Sophmore outside hitter Tatiana Durr passes the ball during the heels' huge win over NC State. 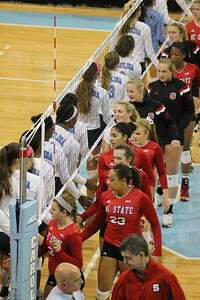 Senior opposite hitter Chaniel Nelson spikes the ball over NC State players and helped contribute to the Heels' .351 team hitting percentage. 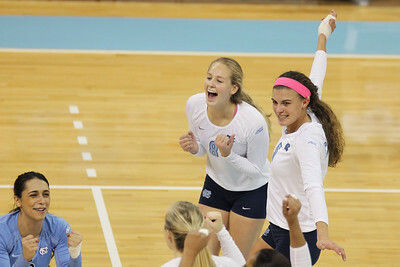 Freshman middle blocker Beth Nordhorn serves the ball during the Tar Heel's victory over NC State. Nordhorn finished the match with two blocks and one kill. 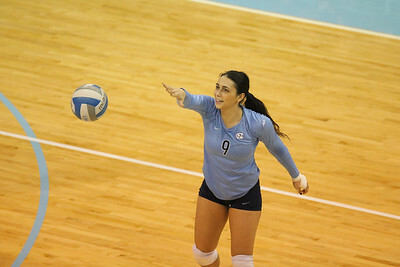 Sophmore setter Abigail Curry serves the ball during the Tar Heel's victory over NC State. Ece Tanner, Lauren McAdoo and Paige Neuenfeldt celebrate after a point. 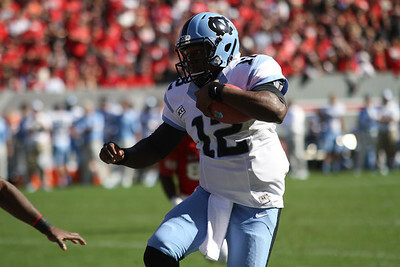 The Tar Heels went on to win against NC State and extend their winning streak to 12 games. 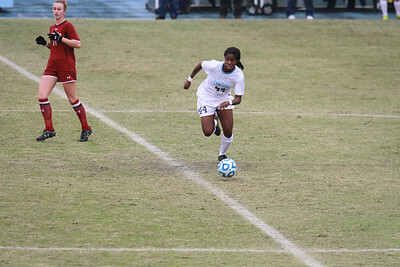 UNC forward Bianca Gray (4) heads the ball. 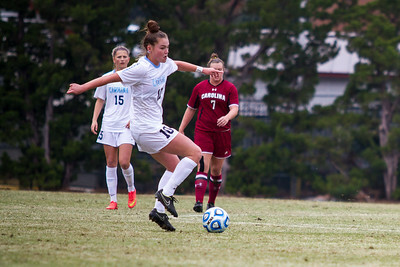 UNC midfielder Darcy McFarlane (11) intends to pass the ball to a teammate, but watches on as USC midfielder Alex Quincey intercepts it. 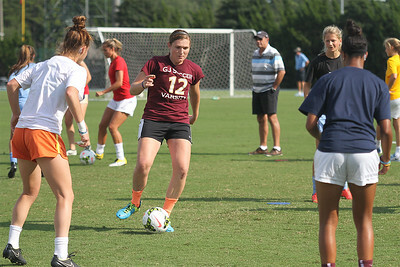 UNC forward Paige Nielson (24) runs the ball down the field. 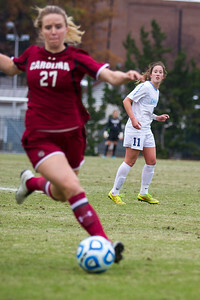 The UNC women's soccer team lost 1-0 to South Carolina at Fetzer Field on Sunday in the NCAA tournament. 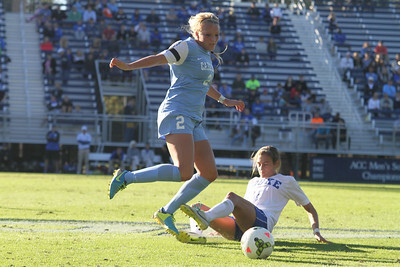 The Heels ended the season with a record of 14-4-2. 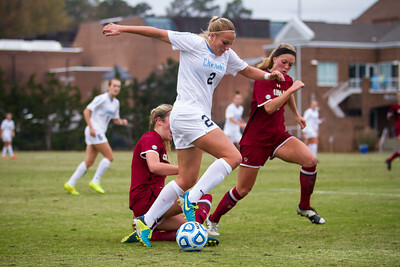 UNC forward Emily Bruder (2) runs the ball towards the goal. 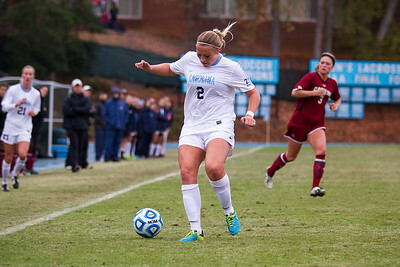 UNC forward Emily Bruder (2) runs the ball down the sideline. 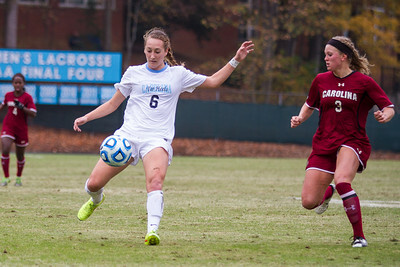 UNC midfielder Joanna Boyles (10) prepares to take a shot. 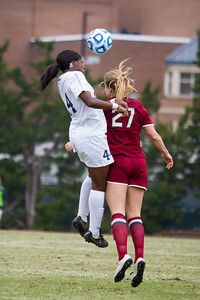 UNC forward Summer Green (6) gains control over the ball.